Greetings from sunny Australia. Unfortunately, the Australian Government has given us an early Christmas present by calling a long-awaited Parliamentary Inquiry into Surrogacy just before the time when Australians usually embark on our well-deserved summer break. Alas, many of us will now be writing submissions. Submissions to this Inquiry are due on 11 February 2016, preceded by an earlier email in which you must declare your intention to send a Submission by 1 February 2016. Submissions need to be sent to spla.reps@aph.gov.au or can be lodged via the Committee website. The Inquiry is very keen to receive submissions from residents from other countries, as well as Australians, so we urge you to write in and share experiences about surrogacy as it is practiced – or not – in your countries. It will be especially valuable for submissions to be received from people in countries where surrogacy is entirely prohibited (e.g., France, Germany, Switzerland), from those where only ’altruistic surrogacy’ is allowed, and from those where altruistic and commercial surrogacy arrangements are permitted (e.g., the USA, Mexico). At the end of this letter are the Terms of Reference. This Inquiry follows on from a Round Table on Surrogacy held in March 2015, at which we both were invited guests (as representatives of VANISH, an organization for adopted and donor conceived people, and FINRRAGE, a long-term feminist network resisting all forms of surrogacy). Also invited were representatives from pro-surrogacy groups and the IVF industry, as well as government representatives from the State of Victoria, where altruistic surrogacy is permitted but heavily regulated. Further Round Table speakers included representatives from Relinquishing Mothers (ARMS) and Donor Conceived people and a number of academics, judges, surrogacy lawyers, infertility counselors, and psychologists. The proceedings were recorded in Hansard and can be accessed via the Parliament of Australia website. The Round Table was a sobering experience. Those of us from VANISH, FINRRAGE, ARMS, and Donor Conceived groups who oppose surrogacy were drowned out by pro-surrogacy voices. Put differently, it will be very difficult to convince the representatives of this Parliamentary Standing Committee that surrogacy (in all its forms) should be stopped now, as they will be snowed under with submissions from the pro-surrogacy lobby, including gay rights’ groups (the fight for marriage equality in Australia is ongoing and strong). Surrogacy is regulated by individual states and territories (as is, for example, prostitution). This might be challenged by pro-surrogacy submissions but it is likely to remain in place. Commercial surrogacy is prohibited in all six states (Victoria-Vic, New South Wales-NSW, Queensland-Qld, Western Australia-WA, South Australia-SA, and Tasmania-Tas) and one territory (Australian Capital Territory-ACT). The other territory, Northern Territory-NT, currently has no laws on surrogacy. Altruistic surrogacy is permitted in all states and territories. Because surrogacy is regulated by the states/territories, there are no uniform laws. Victoria has the strongest regulation of altruistic surrogacy but, unfortunately, the state authority overseeing surrogacy, VARTA, is strongly pro-surrogacy. The application process is expensive, favouring wealthy people. With regard to overseas surrogacy, NSW, QLD, and the ACT make it a criminal act for citizens to engage in this practice, in no matter which country. Unfortunately, though, breaking this law has never been enforced. Residents from these states engage in surrogacy in whatever country they like (many go to the US), then when the baby is born, they visit the Australian embassy/consulate and, as long as a DNA test proves paternity, the baby is issued with travel documents, including an Australian passport. No sanctions await at home! The worst outcome of this Inquiry would be if the Committee (and later the Parliament of Australia, which will vote on its recommendations) proposes to introduce legalized commercial surrogacy in all states and territories. This is what pro-surrogacy groups are advocating. They argue that exploitative practices in poor countries, as well as countries making surrogacy for foreigners illegal (e.g., India, Thailand, Nepal, Cambodia), necessitate the introduction of ‘safe’ and ‘well regulated’ commercial surrogacy in Australia: a typical neo-liberal harms-minimization response. (As the booming Australian prostitution industry shows, this does not work; for every legal brothel there are three illegal enterprises, and the harm, exploitation, and serious damage to prostituted people continues unabated.) It is quite possible that the introduction of commercial surrogacy will be the outcome. The best outcome of this Inquiry would be if a) all States and Territories made it a criminal offence to engage in overseas surrogacy and reinforced punishment should this law be broken, and b) if all altruistic surrogacies were prohibited, too, with the argument that a desire for a child does not equal a right to a child when other parties (e.g. the ‘surrogate’ mother and the egg ‘donor’) are invariably exploited and harmed. Furthermore, the child born of a surrogacy arrangement is commodified and taken away from his or her birth mother without consent from the child. Unfortunately, a) is unlikely to be recommended (though remains a possibility), and b) are even less likely to be the outcome, mainly because altruistic surrogacy in Victoria is hailed as being so well regulated. Payment for egg ‘donations’ will also be considered by the Inquiry. It is currently illegal to pay egg providers more than ‘compensation’ but the NH&MRC (National Health and Medical Research Council) has been heavily lobbied over the last few years to allow payments for eggs. In 1990, Australia ratified the United Nations Convention on the Rights of the Child (1989). Article 7 of the Convention affords children the right, as far as possible, to know and be cared for by their parents; Article 8 asserts children’s right for preservation of their identity, including nationality, name and family relations; and Article 9 provides the right for children separated from one or both parents to maintain personal relations and direct contact with their parent(s). Clearly, surrogacy – whether ‘altruistic’ or ‘commercial’ – inherently violates one or more of these rights. Furthermore, as documentaries such as Eggsploitation and Breeders? show clearly, the harm to egg providers and birth mothers is so substantial that these practices violate human rights to health and dignity, and should therefore never been allowed. 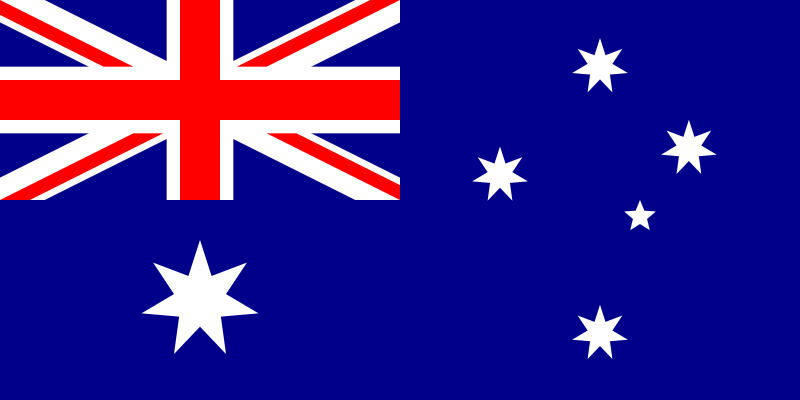 Australia has signed the Convention on the Elimination of all Forms of Discrimination against Women (CEDAW); surrogacy contravenes this Convention. The Attorney-General, Senator the Hon George Brandis QC, has asked the House of Representatives Standing Committee on Social Policy and Legal Affairs to conduct an inquiry into surrogacy arrangements for Australians. The Committee invites you to make a submission which provides your views on any or all of the terms of reference. While the secretariat makes every effort to contact all interested parties, it would be appreciated if you could pass this information on to anyone you think might be interested in making a submission. The Committee would appreciate your contribution to the inquiry to be received by Thursday 11 February 2016. Please contact the Committee secretariat by 1 February 2016 if you intend to make a submission. Further information on the inquiry, including the full terms of reference, can be found on the committee website at www.aph.gov.au/spla. Submissions can be emailed to spla.reps@aph.gov.au or lodged via the Committee website. Please note that submissions should not include incriminating or personally identifying information. The Committee will exercise final judgement on whether a submission is suitable for publication. For further information about the inquiry, please contact the Committee secretariat on (02) 6277 2358 or spla.reps@aph.gov.au.